other name:- Kirkoswald College ? At Kirkoswald on l. is the College, C. Featherstonhaugh, Esq. 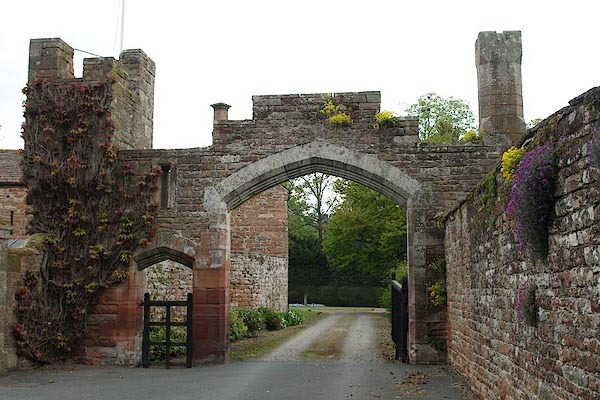 The Fetherstonhaughs were a Northumberland family, whose antient seat was at a place of that name. Their house, it is said, was formerly on a hill (where are two stones called Fether stones), and was moated about for defence against the Scots. But, upon the ruin of this, the house was afterwards built in the holme or valley under the hill, which they there call haugh, and the family writ their names de Fetherston, and sometimes de Fetherstonhaugh. They first came to Kirk Oswald in the beginning of the last century, where they yet continue. Plan, uncoloured lithograph, The College, Kirkoswald, Cumberland, published by Cumberland and Westmorland Antiquarian and Archaeological Society, Kendal, Westmorland, 1914. With an article about the Fetherstonhaugh Family and The College, by Mrs Fetherstonhaugh and F Haswell. hearsay The house was established as a college for priests in 1523. It is built onto a pele tower. After The Dissolution the College was the home of the Fetherstonhaugh Family.